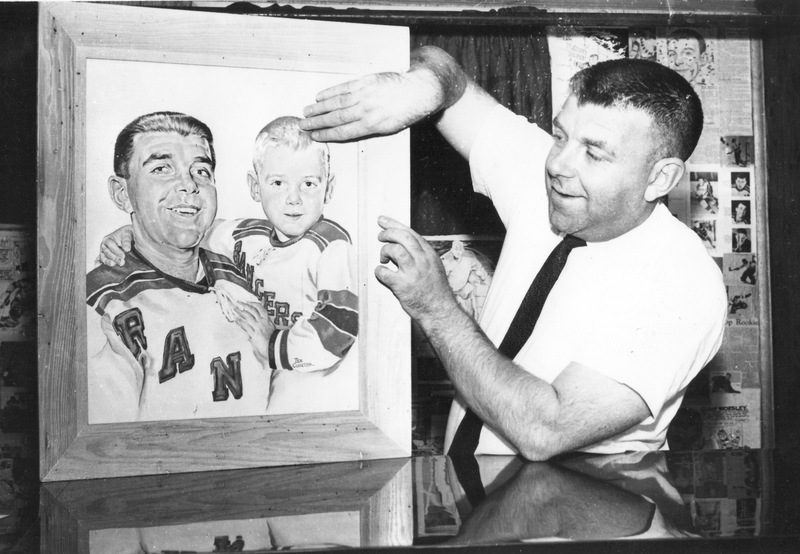 Artish Proof: Goaltender Gump Worsley inspects artist Tex Coulter’s handiwork in early 1957. 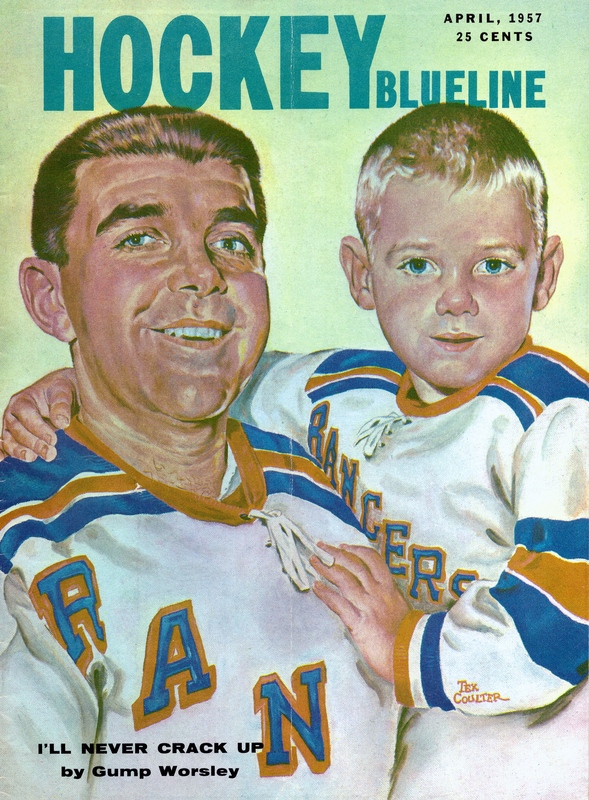 In April of that year, the portrait of the Rangers’ backstop accompanied by son Lorne Jr. would grace the cover of Hockey Blueline, which looked like this. 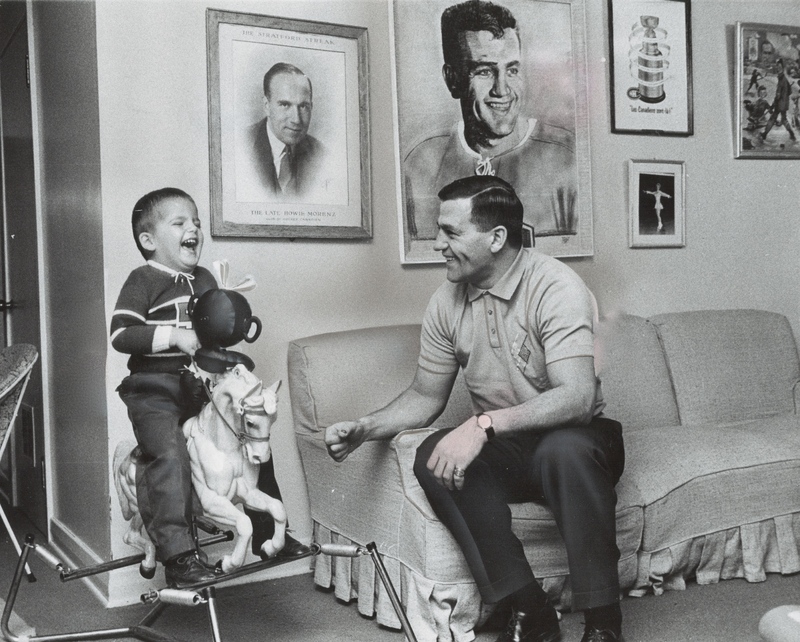 So that’s what Gump Worsley was talking about, in April, when the New York Rangers’ goaltender was coverboy (along with his eldest son, Lorne Jr.) for Hockey Blueline. Inside, as told to Dave Anderson, he got right down to business: people thought it was funny, now, to wonder about his nerves. “When are you going to crack up?” they say. First of all, it’s not funny because Sawchuk is a sick guy. Second of all, I’ll never crack up. I don’t believe all this talk about “nerves” because a goalkeeper is under fire all the time. If that’s the case, I should be the first one to crack. They shoot more at me than any goalkeeper in the National Hockey League. If the number of shots at a goalkeeper is so important, then why hasn’t Al Rollins cracked up? Or Harry Lumley? They’ve been around longer than me and had a lot of shots taken at them. But they’re all right. Maybe they’re like me. They don’t worry about something they can’t do anything about … a goal. Worsley, 29, had been in the NHL for three-and-a-half seasons at this point. That was the key to keeping cool as a netminder, he found — failing to worry. “My wife, Doreen,” he confided, “tells me nothing bothers me.” He made a study of this, and always had. Never looked up his goals-against average, paid no attention to rumours that he was destined for the minors. My wife will tell you how I eat before a game. And how I sleep two-and-a-half, three hours. I usually eat a real big meal — two filet mignons, baked potato, green vegetable, salad, toast and tea. And then I take my nap. Sometimes she has trouble waking me. After a game — win, lose or tie — I come home and eat another big meal. Not a sandwich, a meal. Fans, too, were taunting the Gump. That was something else. On November 26, 1968, the Canadiens were en route to Los Angeles by way of Chicago. The first leg of the flight was turbulent, and that was enough for Worsley, which is to say too much. At O’Hare Airport, he left the plane, telling Jean Béliveau that he was retiring. He took a train back to Montreal. 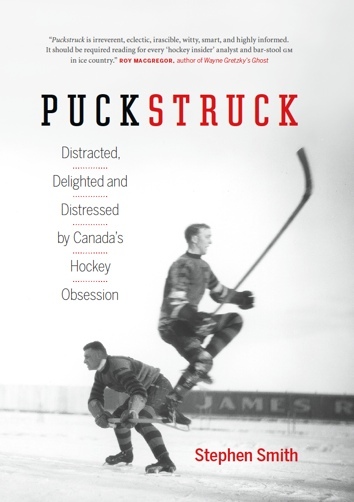 As Worsley recounts it, the breakdown wasn’t severe: “I got over it quickly.” Montreal GM Sam Pollock arranged for him to see a psychiatrist, and he did, and they talked about “everything.” Late in December he started skating on his own at the Forum. By January, he was back in the Canadiens goal. 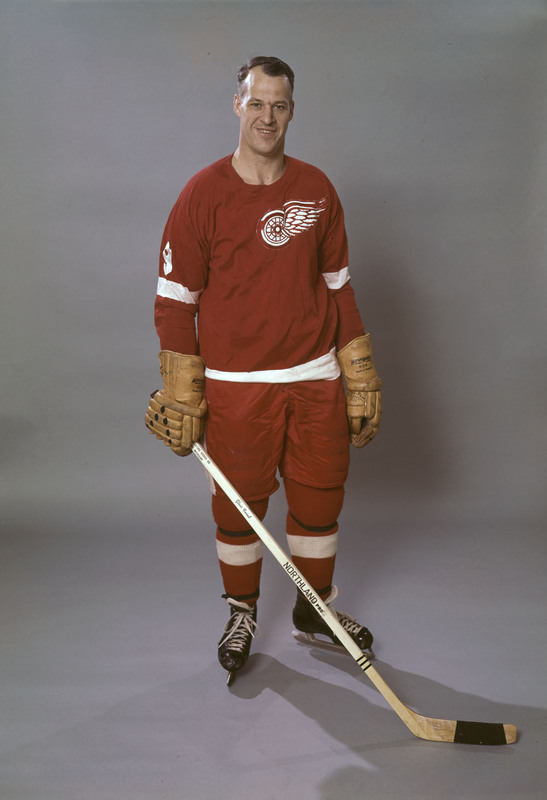 Handmedown Hab: Danny Geoffrion was three years old in March of 1961; his father, Bernie, had just turned 30. Boom-Boom, as Geoffrion père was better known, was in the midst of his best scoring season, one in which he’d score 50 goals for the Canadiens and lead the NHL with 95 points. Sporting his dad’s number 5 here, Danny would, in time, earn a Habs’ sweater of his own: after GM Sam Pollock drafted him in 1978, he made the team as a 20-year-old right winger the following season, wearing number 20 and an uninspired nickname: Little Boomer. The defending Stanley Cup champions got a new coach that year, too: Bernie Geoffrion. So he barely put him in at all. As time passed, things worsened. The two reconciled after Bernie quit. “I’ve got my son back,” the ex-coach said, “and that’s all that matters.” Danny still didn’t play much, however. He went without a goal during his Hab tenure: in 34 games before he left the team at the end of the unhappy season, Boom Minor recorded six assists and 19 minutes in penalties. 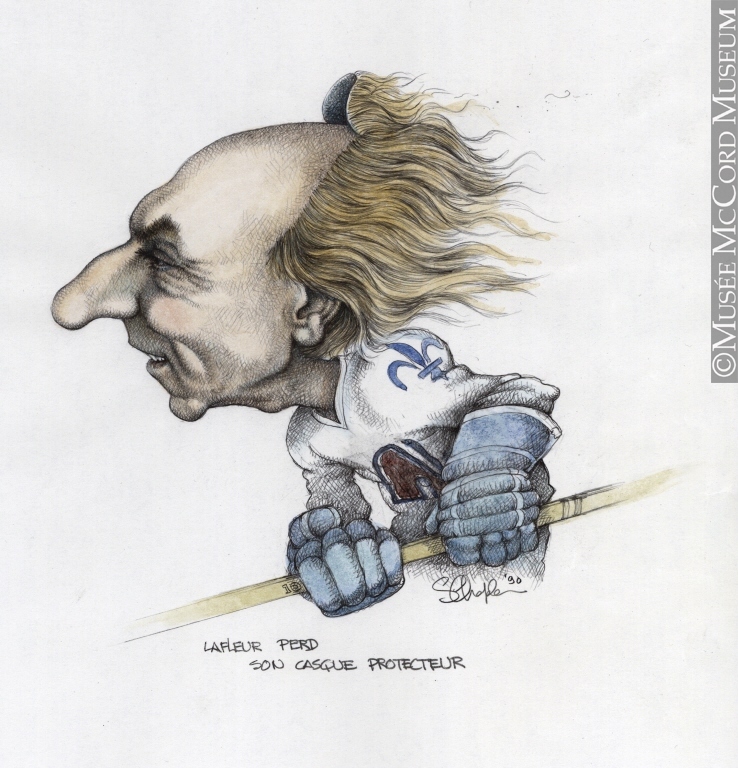 The following season, playing for Winnipeg, he scored a respectable 20 goals and 46 points. But that was his last turn in the NHL. He’d dreamed of winning the Stanley Cup as coach of the Canadiens: the dream, he writes, turned into a nightmare. His Marlene is the one, in this telling, who sees his unhappiness and tells him to quit. He did it, Ruel took over, Montreal ended up losing in the playoffs to lowly Minnesota. Finis. Back to the photo: that’s Marlene up there on the wall, below the Stanley Cup, off to the right of the big smiling Boom-Boom portrait. 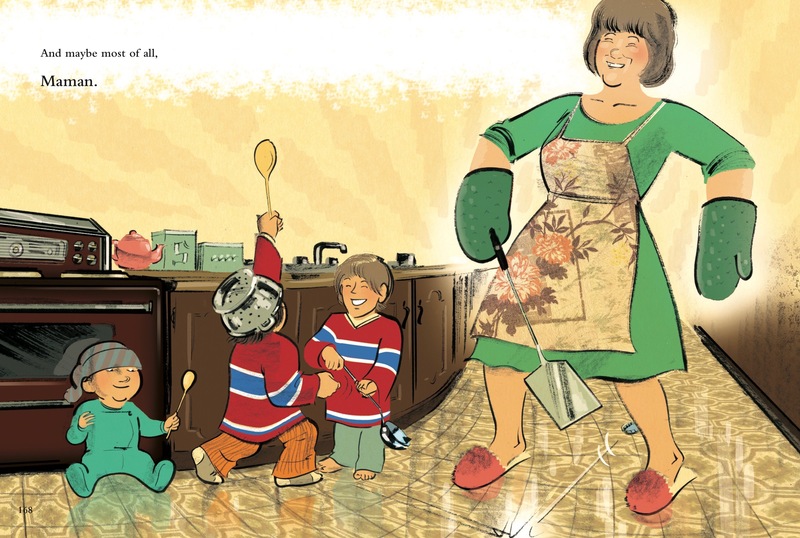 She was a very good figure skater when she married Boom-Boom; she was 19 and he was 21. Her father is up there, too, on the end: the late Howie Morenz, Streak of Stratford. 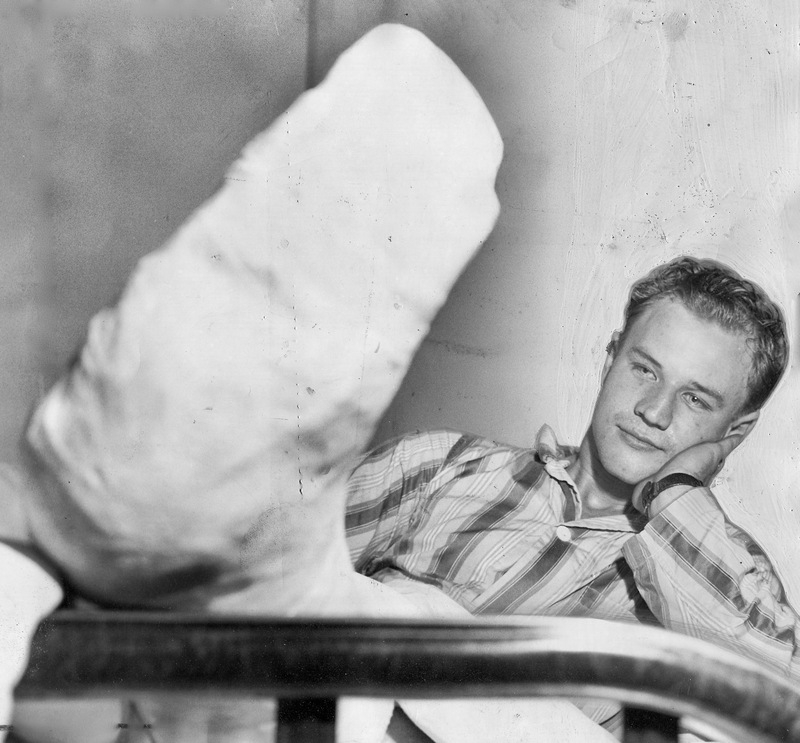 Marlene didn’t remember him: she was just two when the legendary Montreal star died in 1937 after a career-ending leg injury complicated (as the tale’s told, at least) by a heart broken by the news that he’d never play another game for his beloved Canadiens.